I hear a lot of music each and every day, so a band like this certainly stands out from all the cookie-cutter clutter that passes itself off as Alternative Rock nowadays. And why is Alternative Music so mainstream now? Isn't Alternative supposed to be ALTERNATIVE to the mainstream? So, am I to think that if Alternative is now mainstream, then what is Alternative to that? Is there a new term for bands that don't follow the fashion and music formulas that every other Alternative band does? Should it be called Un-Alternative? 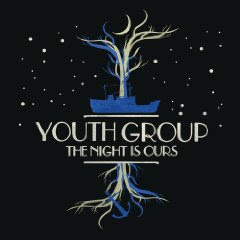 And, while YOUTH GROUP sound comfortable and familiar, they are certainly not a cookie-cutter act.